All kinds of berries! 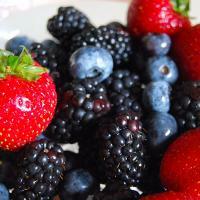 Strawberries, blackberries, tay berries, blueberries, raspberries, gooseberries, huckleberries, kiwi, grapes and more. Inventory fluctuates, so please call or come by and see what's in stock.